WooCommerce is a free eCommerce plugin from WooThemes that can transform an ordinary WordPress website into an online store. It is a powerful, extendable eCommerce plugin that helps you sell anything. With this plugin you can transform your WordPress website into a thorough-bred eCommerce store. These WordPress Woo commerce themes make it really easy to start your own webshop. All these themes come packed with various useful features. So, in this article, we’re going to share some of the best free WordPress Woocommerce themes 2014. If you are just starting your adventure with WooCommerce these themes will allow you to better know the e-commerce world. The themes we’ve selected below have actually been tested by us and do a great job of making sure that your WooCommerce store’s styles fit with the rest of your theme to give your entire site a unified look and feel. Have a favorite free WooCommerce theme that we missed? Let us know in the comments! Mystile is a beautiful minimalistic, lightweight WooCommerce WordPress theme. This theme is designed as canvas which means that you can use it as-is or customize it via Theme Options or by creating your own CSS styling. You can customize this theme to sell any kind of products. WooShop Lite is a clean, beautiful and modern WordPress theme optimized for WooCommerce. Theme adopts to any device screen size, so it will look nice on any device. 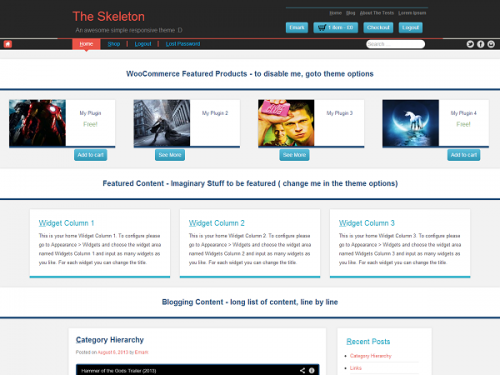 This theme packs useful shortcodes to control various aspects of this theme including homepage layout. Vina Fashion is Responsive Theme, WooCommerce Theme is our new WordPress Fashion Template specially designed for Fashion store, particularly, clothing, accessories, shoes, and jewelry. It has such a modern design style that many customers request. Besides, with all powerful built-in features, your stores will be at its best performance. The new entry of our e–commerce family is Panthea, a cool, easy to use, customizable and fast WordPress theme designed thinking about users needs and requests. With Panthea you can easily set your online shop, taking advantage of the many features thought for you by our team of web designers and developers. Unique Features Responsive design Possibly the best feature of Artificer is it’s device agnostic design. That means whether you’re viewing the theme on your desktop, your tablet or your smartphone. Flatshop can help you turn any WordPress site into a beautiful shop using the free WooCommerce plugin. It not only has great attention to design details, but it is also loaded with transition effects such as parallax scrolling and fly-in animation to improve the user experience. AyoShop is a free WordPress Theme created for Genesis Framework and using WooCommerce. AyoShop is a clean and responsive eCommerce child theme. This WordPress theme suits any kind of online shop, for instance selling clothing, food, jewelry, etc. Mio is our free WordPress e-commerce theme that combines intuitive “Apple” like style with a refined improvement. This amazing theme powered by WordPress e-commerce plug-in is a great e-commerce solution for any business that need a clean and aesthically pleasing site. The theme is fully responsive that looks great on any device. The theme supports widgets. And features theme-options, threaded-comments and multi-level dropdown menu. This is the full version of The Skeleton. A simple theme with smooth design and responsive capabilities. This theme is built for mainly WooCommerce and bbpress, their are added features and styles to go along with these two major WordPress plugins. 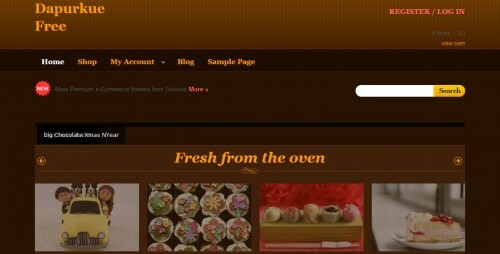 Dapur Kue is a special WooCommerce themes for culinary-related online store. Sweet and minimalist design with soft and clear background to put your products first. Virtue free theme is extremely versatile. 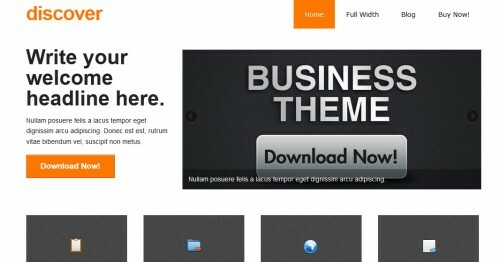 For a free theme it’s loaded with tons of premium options. You will find it easy to customize and fully loaded with great features. The clean modern design is built with html5 and css3 and uses the powerful responsive framework from Bootstrap to be a fully responsive and mobile friendly. 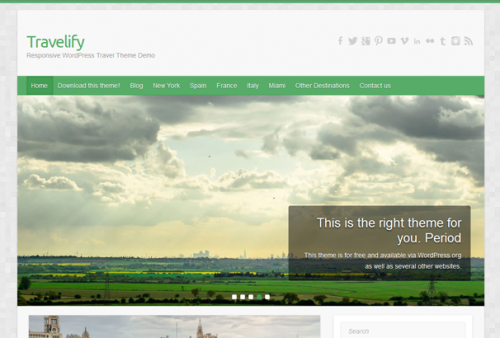 Travelify is a clan, simple and fully responsive WordPress WooCommerce theme that looks awesome on any device. It adjusts automatically to any screen size including tablets and smartphones as well as Retina displays.